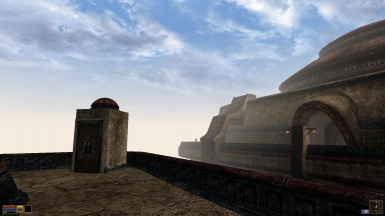 This mod adds a small velothian box, which can teleport to over a hundred places across Vvardefell! It's also bigger on the inside. Companion friendly! Previously, it was possible for the game to become corrupted and allow the MUNDIS to appear at multiple places, making the mod far less useful. This has been fixed! 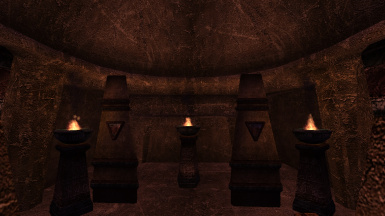 Every Daedric Shrine and Dwemer Ruin have been added as locations. It was only 8 or 9 of each before, now there are over 25 locations each. 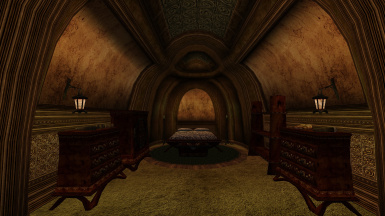 -The Private Quarters(aka, your bedroom) has been completly redone, to be far more grand. 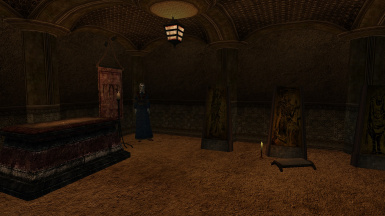 It has a number of display halls, and the alchemy ingredient sorter has been moved into a room in this area. There is also now a sorter clothing, scrolls, potions, and more. -There is now a new way to move the MUNDIS. Location stones, which can be placed anywhere in the world and used as buttons for specific locations. And you can find the locations easier now, with the MUNDIS Scouter, which will alert you when you approach a location the MUNDIS can land at, but hasn't yet. 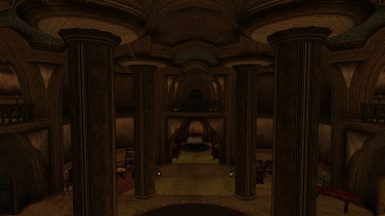 -Also, there is a new Services hall, which can house merchants that you may hire from around Vvardenfell. These include: Enchanter, Alchemist, Trader, Clothier, Weapons merchant, armor merchant, a Tribunal Healer, and an imperial cult priest. 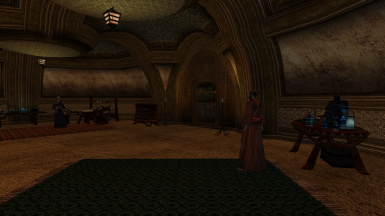 These merchants have restocking inventories comparable to other merchants like them in Vvardenfell and Mournhold. They can be hired for amounts of gold ranging from 5k to 40k. -I've also added a pool/bath room at the end of the Guest Bedrooms area. It's highly likely that this update will break or double a lot of things in your MUNDIS, if you've already used 1.0 or 1.1 on your save. So, see how it works. If it breaks, you need to remove all of your stuff from the MUNDIS, and remove the mod's cells from your save file. Update 2.0.1: There were a lot of errors due to scripts having minor problems and also not being complied. 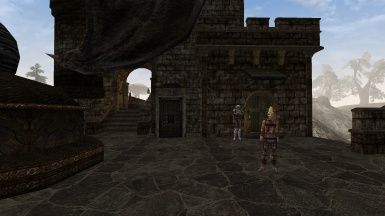 I didn't notice it before, because OpenMW is very forgiving. 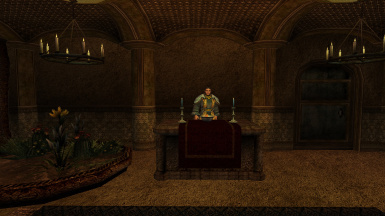 Also, there was a script error that prevented the MUNDIS from teleporting to daedric ruins and a few other places. This and many other issues are now fixed. Update 2.0: A huge upgrade! 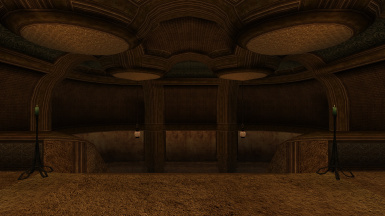 This version replaces the teleport scripts, making it far more efficient and "safe". The Private Quarters(aka, your bedroom) has been completly redone, to be far more grand. There is now a new way to move the MUNDIS. Location stones, which can be placed anywhere in the world and used as buttons for specific locations. 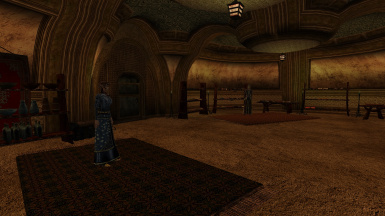 Also, there is a new Services hall, which can house merchants that you may hire from around Vvardenfell. These include: Enchanter, Alchemist, Trader, Clothier, Weapons merchant, armor merchant, a Tribunal Healer, and an imperial cult priest. I've also added a pool/bath room at the end of the Guest Bedrooms area. 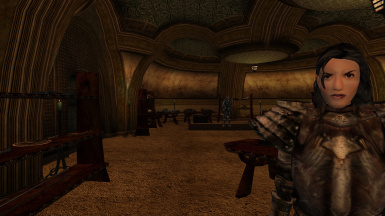 The MUNDIS is a machine created by Sotha Sil long ago, it contains a portal to a personal daedric realm. 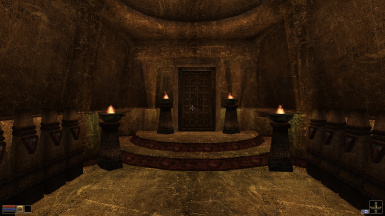 However, the device was stolen by Dagoth Ur's minions, who were never able to open it, and now sits in the tower of Odrosal. As the nerevarine, you have the ability to open the MUNDIS, so go find it! 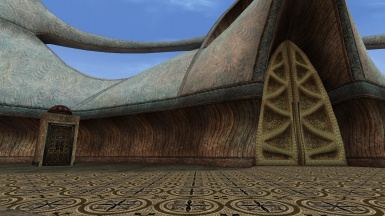 This mod was inspired by the TARDIS from Doctor Who and the Private Mobile Base mod for MW. 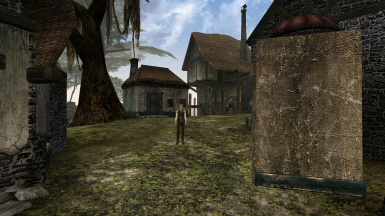 The MUNDIS can teleport to almost every town, village, city, daedric shrine, stronghold, dwemer ruin, and more. For example, If you deposit a scamp soul, you may move the MUNDIS 2 times. Or, if you deposit a Golden saint soul, you may move the MUNDIS 8 times. 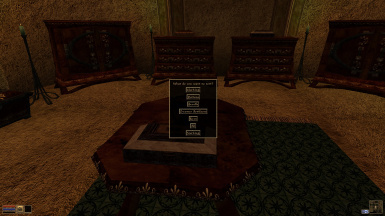 The MUNDIS's control room contains 24 preset buttons, which are set to the cities and most towns of Vvardenfell, and 8 custom buttons, which can be switched out for different sets, so 32 custom buttons total. 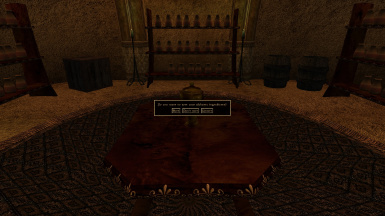 There is a spell scroll on a table in the great hall, which will give you a spell anyone can use, which will summon the MUNDIS if you are near a location it can transport itself to. 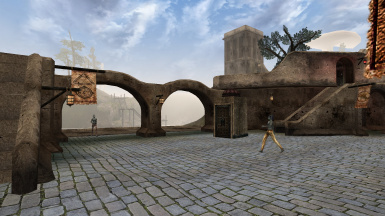 Most locations are in the exterior area, with the exception of Vivec Cantons, where it'll be inside the Canton's plaza. Or if the location is particularly mountainous, the MUNDIS might need to be summoned right inside the door to the location. If you try to summon it when you can't, it will tell you it is "Not a valid location". Further documentation is available via in-game books, which will help you operate the MUNDIS.